Photographers and filmmakers probably spend more time on their computers that behind a camera. We own thousands of dollars in gears, yet some of us waste a considerable amount of time struggling on a sluggish PC. However, for the price of a good lens you could dramatically improve your productivity by speeding up the entire post-shooting phase. Here is a short guide to help you navigate through the current offerings and avoid the marketing traps in order to build the perfect machine based on your budget. The main idea is to put together a balanced setup without creating any bottleneck such as having an overpowered processor without enough memory to handle the processing load or vice versa. The second element is to invest your money wisely. For instance, no need to fall for useless features (e.g., ultra high frequency DDR memory) and get lost in details (advanced monitoring, LED, heat sinks on cold parts) while these extra dollars might serve you better on the CPU and GPU. I cannot stress enough the importance of installing a good power supply unit (PSU) in your PC. As a rule of thumb, do not even consider a power supply below $40. Cheaply made units have poor efficiency, they will waste energy by producing a lot of heat requiring a noisy fan to evacuate this thermal load. Finally, low-end PSUs generate bad quality voltage and amperage which will stress the precious electronic parts of the PC, in turn reducing their lifetime. In the worst case scenario, the machine may become instable and crash. Don’t be cheap and save yourself a lot of trouble by investing a little bit more on a decent PSU. Rely on established brands and spend between $50–$120 depending of the power needed. The most power hungry components of a PC are the graphics card and the CPU. You must scale your PSU based on those. In contrast, hard drives don’t pull more than a few watts each (2-8 W). An average, computers equipped with a few hard drives, an Intel Core i5 or AMD Ryzen 5 draws around 350 watts maximum. After taking into account the usual safety margin, a 450 watt PSU is all you need. High-end machines with Core i7/Ryzen 7 and GeForce 1080 only require a 650 watt PSU. Beyond that, you will be wasting money unless you perform advanced overclocking or mount multiple GPU in SLI configuration. As for the certification, the best efficiency to price ratio are silver and gold. Forget the nonsense marketing labels such as titanium or diamond. The few extra percent of efficiency over the gold category does not justify the huge price difference. You will never get it back on your power bill. There are a lot of options, but noise isolation, thermal management, and ease of installation should be the main deciding factors. Another key point is size. High-end CPUs require large cooling devices sticking out of the processor and some graphic cards can be quite big. The number of hard drive slots is also important for photography and video editing computers. Check if the case comes with the fan(s), especially with the entry-level product. After many years of Intel supremacy, AMD is back with a new generation of competitive CPU called Ryzen. Luckily for us, AMD decided to tackle the market with an aggressive pricing approach. Both manufacturers offer 14nm chip design which limits the maximum processor frequency to 4.5 GHz. Since the frequency race is not possible anymore, they found a new competitive ground by adding cores on their CPU. At the moment, Intel is leading the trend with its i9 series reaching up to 18 Cores for the i9-7980XE. However, you’ll have to sell a kidney to afford this $2,000 CPU. Are More Cores Really Useful for Photography and Video Applications? It depends. While most image and video editing programs manage to distribute the load among several cores, some applications or tasks (video games) are not optimized for parallel processing. In this case, 8, 10, or 18-core CPUs might be slower than a simple high frequency quad-core processor. Why? Because more cores per CPU translate into lower frequencies per core. For instance, the quad-core i7-7700k processor runs 4.3 GHz per core while the 8 cores Ryzen 1800X maxes out at 3.6 GHz per core. 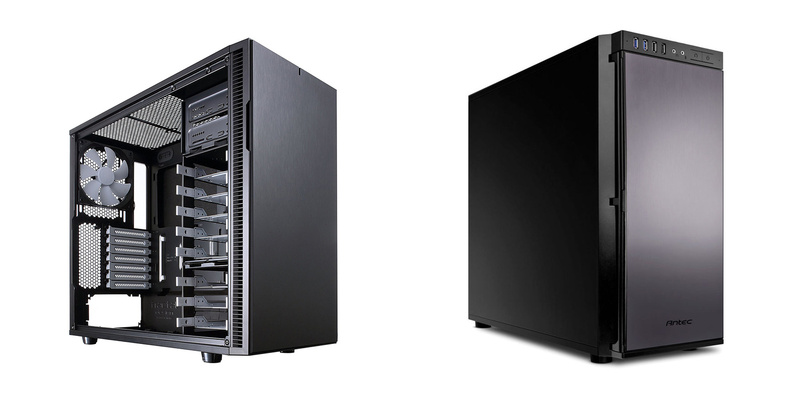 The former will outperform the later for single core operation and non-parallel processing. However, a 6-core CPU running at higher frequency than a 8-core CPU might give similar or better results (e.g., i7 8700K versus RX 1800X) even on multi-threaded applications. It all depends of the nature of the task and the level of software optimization, but overall more cores are beneficial on photo-video computers. Finally, performance is dependent on the usage phase. Real time editing, playback, pre-render, final export, and encoding each take a different toll on the processor. Some tasks will benefit from the higher frequency while others will spread the load on multiple cores. Sometime these tasks rely first on the graphics card. The key step is to determine which processor offers the best performance/price ratio. At the moment the “sweet spot” is in the $300–600 price range for the 6 to 8 core CPU. After that you’ll have to spend a lot of money to improve the performance, not only on the processor itself but on the motherboard as well. Indeed, AMD and Intel have this horrible habit to change the type of socket (plug) and chipset (controller) with every new generation of CPU. After each processor release, the choice of compatible motherboards is limited to a few options costing around $300–400. Then, the price usually goes back to a reasonable level after a year or so. Therefore, the choice of CPU dictates the motherboard selection and both components must be considered together in terms of budget. Of course, it might be tempting to spend an extra $100 for the slightly more powerful class of CPU but does it really make sense if you must purchase a much pricier motherboard? This money will be better spent on the graphics cards or memory. On the AMD platform, the 8-core Ryzen 1700 ($280) and 1800X ($440) are hard to beat at this price point especially with motherboards costing between $80 and $150. The counter offer from Intel in the 8 cores league is the new i7-7820X, but this CPU is more expensive ($560) than the Ryzen. 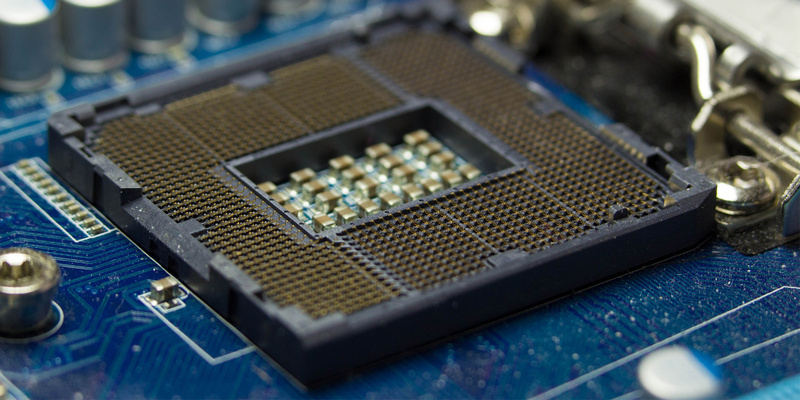 On top of that, Intel made the transition to the LGA 2066 socket for this new generation of processors and the motherboards are still expensive. Expect at least $220 for a decent LGA 2066 board. However, Intel just released the competitive 6-core i7-8700K ($410). The lower core number is compensated by a higher base frequency giving better scores on some processing tasks. To make things better, this CPU is compatible with the mainstream LGA 1151 socket but requires the latest Z370 chipset so don’t expect to install this new CPU on your old LGA 1151 motherboard. Fortunately, LGA 1151 and Z370 motherboards are affordable with good items ranging from $120 to $200. On the elitist segment, AMD proposes the new Ryzen Threadripper processors to challenge Intel LGA 2066 i7 and i9 CPU, but they also suffer from a limited choice of pricey motherboards based on the new TR4 socket. What about the K and X processors? The K suffix on the Intel CPU such as the i7 8700K denotes the overclocking capabilities. Non-K versions are locked and can’t be overclocked. The situation is a little more confusing on the AMD side with the X processors. Both versions are opened to overclocking but the X version runs at slightly higher frequency and has more headroom (higher TDP) to increase the speed. Without overclocking, the performance gains are small between the two; a few percent at best depending of the tasks. However, note that the non-X processor includes the Wraith Spire cooler while the X version comes naked and you’ll have to add another $30–50 to equip the CPU with a cooler. In terms of value, the non-X version is the best option if you don’t plan to overclock the processor. Motherboards are a commodity these days. Rely on established brands such as Asus, Gigabytes, or MSI and don’t spend more than $150–200 for classic sockets (Intel LGA 1151/Z370 and AMD AM4) and $350 for advanced one (Intel LGA 2066 and AMD TR4). Manufacturers will try to justify the premium prices by designing “aerodynamic” boards filled with LED, useless heat sinks and few extra connectors. Don’t fall in this marketing trap because these features only inflate the price without providing any performance gain unless you plan to overclock your CPU. Finally, the NVMe hard drives must be considered on powerful setups. If you want to go that route, make sure that the motherboard firmware accept this protocol and comes with the M.2 slots to connect the NVMe drives.